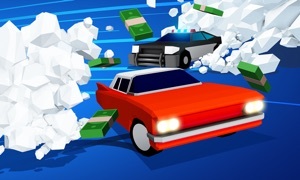 From the makers of Blocky Football and Agent Dash comes a racing game everyone can play. 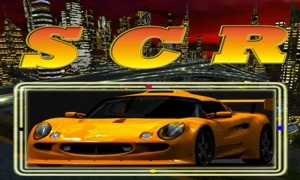 Featuring simple controls with dynamic one-tap drifting and exhilarating speed boosts, charge through multiple stages where split-second overtaking wins the race! 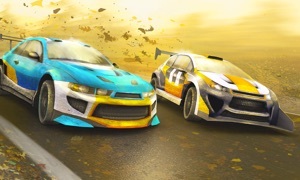 Collect and level-up cars to increase your score combo. 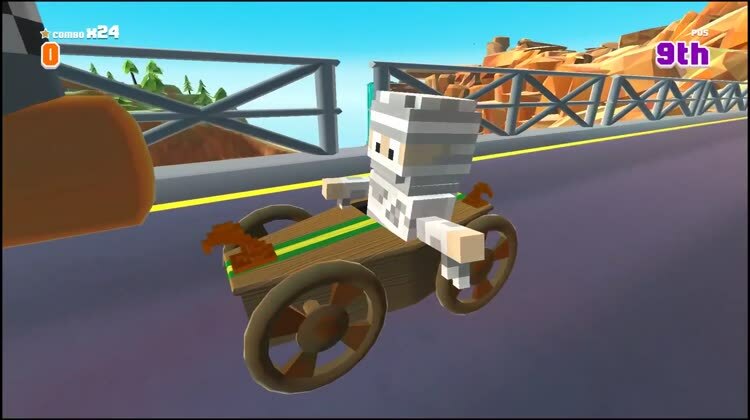 Build your race team with cute drivers and crazy vehicles, including a popstar driving a sports car, a ninja piloting a stealth-copter, a princess riding in a magical carriage and a monkey in a barrel. Drive through a living, breathing island circuit with tight corners and flowing straights. Beautiful varied scenery through countryside, rocky mountains, twisting forest roads, a valley lagoon with suspension bridge and beachside tunnel. Charming scenic details, a lighthouse, log cabins and campfires, railway, sand castles, buckets and spades, confetti trumpets and waving inflatable tube men! Introducing a fresh blocky look, that mixes retro style with modern graphical techniques and special effects.